High gluten flour, lots of olive oil, a dash of herbs, salt, water, yeast – knead it, rest it, bake it and then eat it and enjoy with a glass of nice wine. Platter of cheese is optional. Focaccia is the bread lover’s perfect bread. 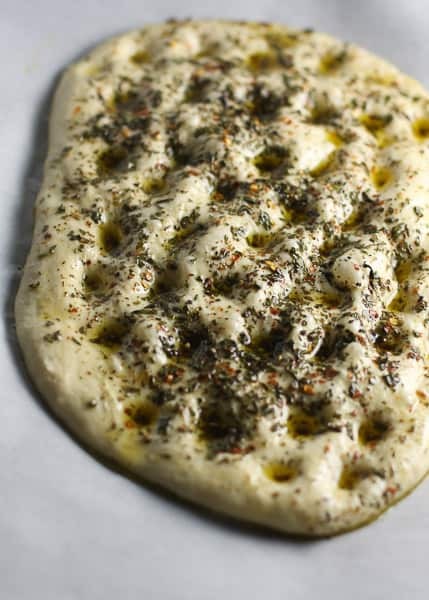 The trick to making great focaccia is to use good quality olive oil, extra virgin preferably , and to ensure you make a lot of dimples with your finger tips in the dough after the second rise. Then you must immediately drizzle olive oil into those dimples . The oil gets absorbed in the bread during baking and the resulting bread is flavorful with a crisp crust. The bread stays airy from within, making it a very tasty eating experience. Though I bake focaccia often, I never topped it with anything more than rosemary, herbs or some olives and sun-dried tomatoes every once a while. I usually bake it with just sea salt and olive oil and eat it straight out of the oven. This time, however, was different. 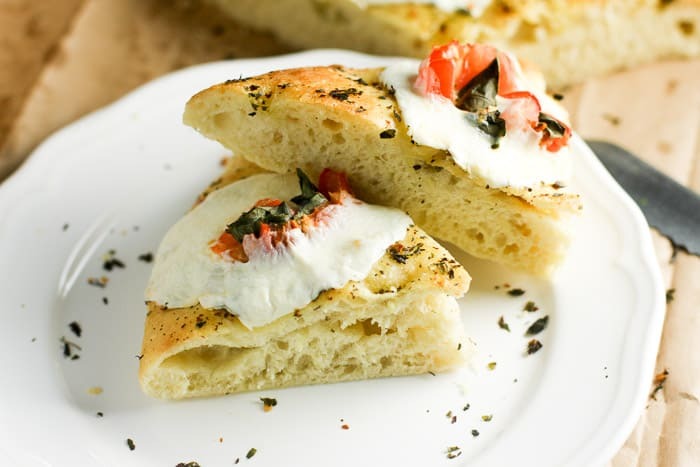 Aparna chose the Focaccia caprese as the bread for “We Knead to Bake” project. I really had a lot of fun making the Focaccia Caprese with tomatoes, basil and fresh mozzarella. Needless to say it was delightful to eat as well. Put the yeast, sugar flour, salt and oil in the bowl a stand mixer and stir to mix. Then add 1 cup of warm water and knead until you have a soft elastic dough that is just short of sticky. You may need to add in more water if your dough appears dry. Remove the dough from the mixer, shape into a round and place in back in the bowl of the stand mixer after oiling it well. Cover and let it rise till almost double in volume. Punch the dough back a little and divide into two. Transfer the dough onto baking sheets. Using your fingers and push each portion of the dough to spread it out. Ensure it is evenly thick. Cover and let it rise for 20 minutes. Lightly oil your finger tips and press into the dough creating evenly spaced “dimples” in it. Generously brush the surface with herbed oil. Lightly drizzle some of the Herbed Oil over the Focaccia and then arrange the tomatoes, basil and mozzarella on the bread. 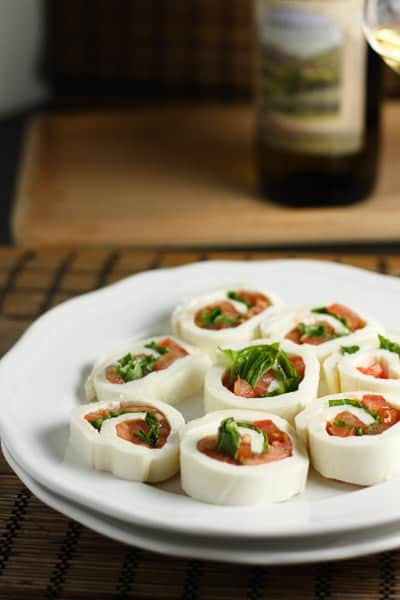 Place the roll of the mozzarella on the working table and open it up. Then place basil and tomatoes on top. Start folding in from one end and roll it up like a cigar. ensure you are rolling it tightly. Then cut into thin slices. Arrange those slices on the bread. Otherwise place thin slices of mozzarella and tomatoes on the bread followed by basil. Drizzle some more Herbed Oil over the topping and return the bread to the oven. Bake the Focaccia for 5 to 8 minutes or until the cheese has just melted. Remove from the oven and garnish with fresh basil leaves. Omg! This looks dlish! 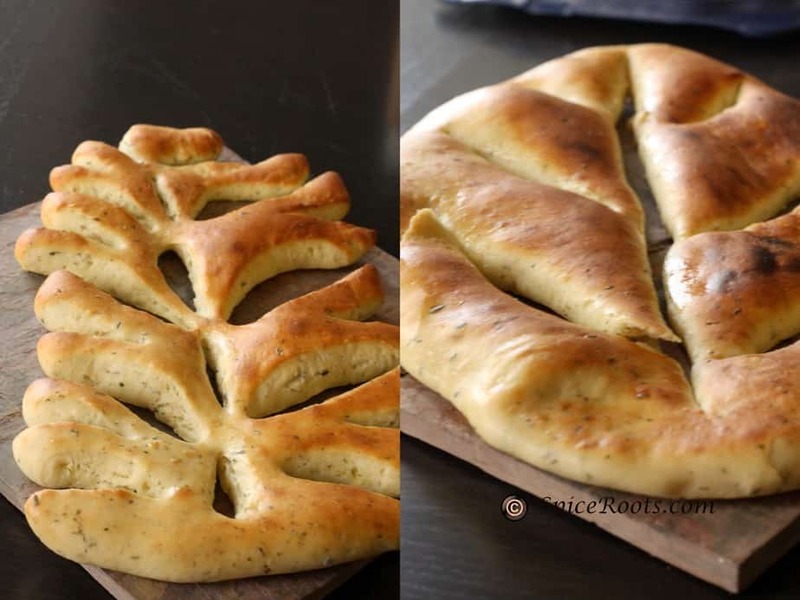 What a great Idea to serve with Focaccia! Yum! 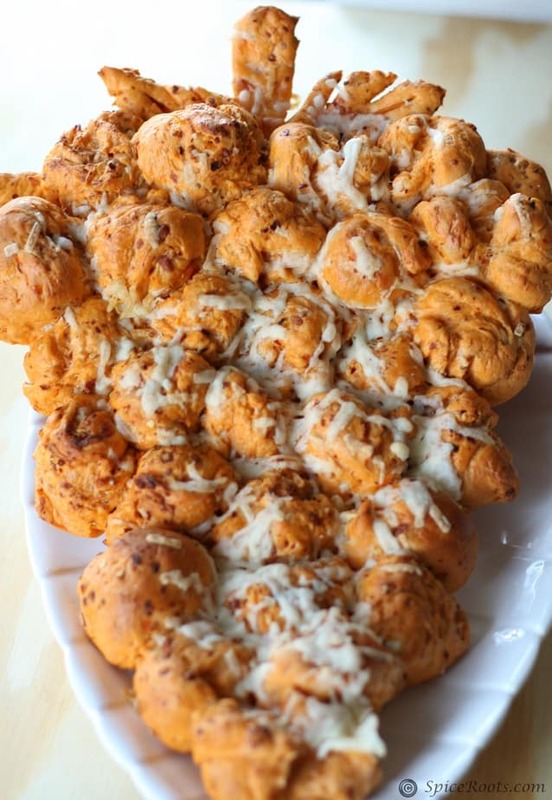 this bread looks quite spectacular – I love the additions on top – so clever! Thank you Donalyn. We loved the flavors. 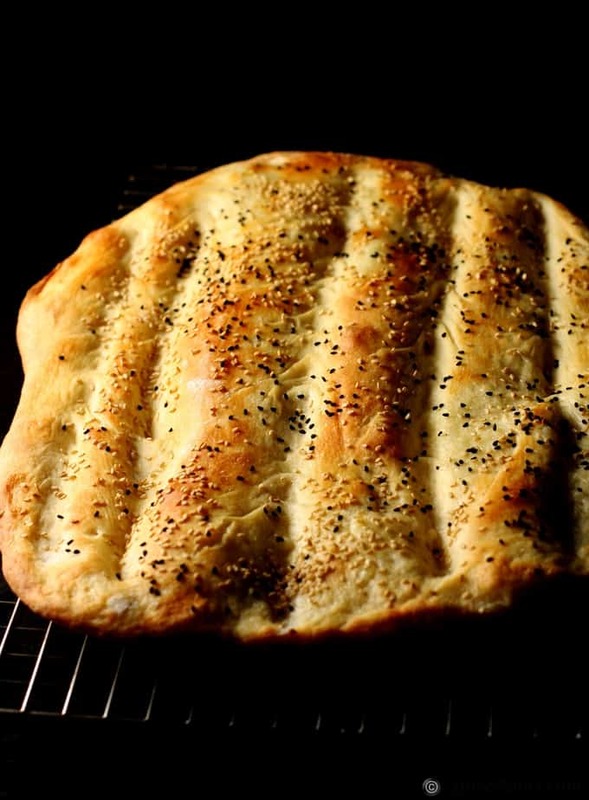 I love home made focaccia and this looks incredible. Great topping, too! I haven’t made this in so long and your recipe looks like one I can’t wait to try. Thanks, Ansh! There is something delightful about a home baked bread! I love the aroma of baking and the yeasty smells. Glad you like this one, Abbe! Gorgeous looking bread! Really nice texture. And the topping? Too good. I could make a meal out of this. Such good stuff — thanks so much. Thank you so much, John. We did, in fact,make a meal of this and made it a few times more. Oh absolutely!! 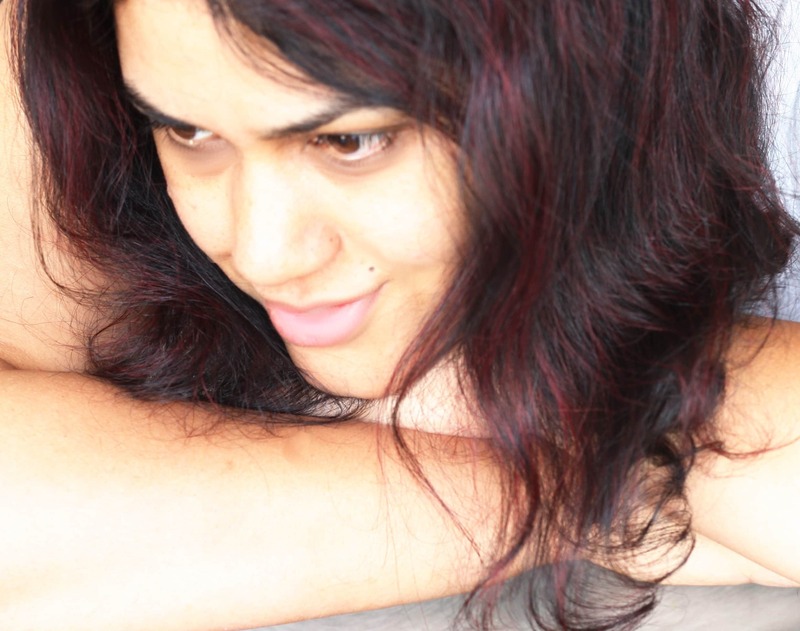 We must do a coffee and conversation soon, Nazneen. I love that topping and I wouldn’t have thought to do that myself. Beautiful! Thank you, Holly. The internet has made it easier for us to connect with people and be inspired by their ideas. Lori’s bread was spectacular and the topping was too good to be missed. Just like your jam filled sandwich cookies which I will be making soon. e-v-e-r-y once on awhile I come across a bread recipe that tempts me to give bread making one more try. This looks incredible Ansh. And being a caprese fan, I really should find my bravery. And ditto to what Karen said. With a Caesar salad??? Perfect. Pinned. Lea Ann, If you must make only one Bread, let this be IT. We can ask Karen to bring in a big caesar salad and have some wine with it. I hope you make this soon. The foccasia looks very nice with those holes, that I see in your first picture. Wish I could have a share from it. I would be delighted to share some, Balvinder. It would go really well with the chicken and quinoa casserole you made. 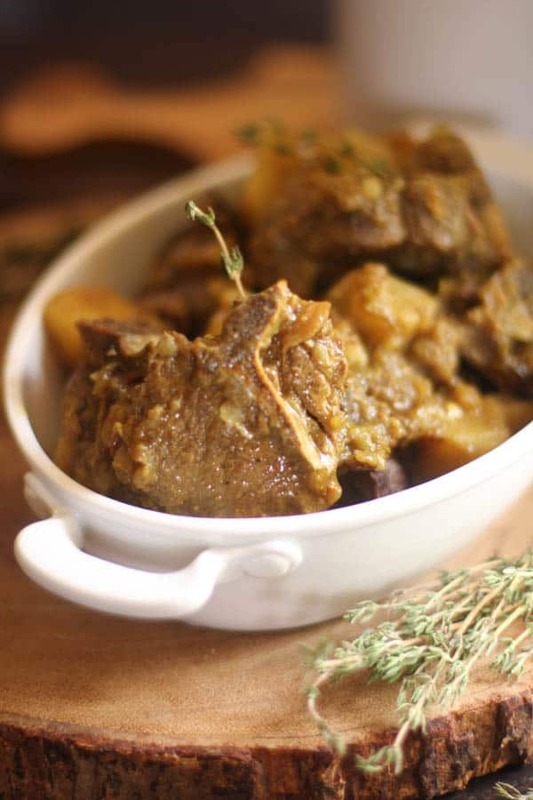 Hi and thank you very much for the mention of my recipe! My word yours looks AMAZING! Absolutely gorgeous!!! I love the pinwheels on it! What a Joy it was to make this bread. Thank you, Lori for posting and sharing the recipe! We loved it. That bread looks wonderful! Love the topping idea too. Thank you, Laura. I hope you had a great Birthday! Gorgeous bread. Oh how I would love a piece of this with a big Caesar salad! I hear you, Karen. This will be delightful with a big Caesar Salad !